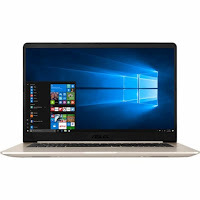 The ASUS VIVOBOOK GOLD S510UADB71 is a powerful laptop PC packec with powerful & efficient 7th Generation Intel Core i7-7500U ULV dual core processor with improved media engine for smooth and uninterrupted playback that features 4MB level 3 cache and runs at the base clock speed of 2.7 GHz with Turbo Boost technology to speed up processing up to 3.85GHz. It also features Hyper Threading Technology to process 8 threads at once. It has an integrated GPU called Intel HD Graphics 620 graphics card clocked at 300 - 1050 MHz and capable of playing HD movies and less demanding games. This laptop PC is packed with 15.6" Full HD display with anti-glare treatment and a screen resolution of 1920 x 1080. The resolution of this laptop is high compared to other laptops, it is expected that the display of this laptop is sharp and clear compared to laptops with lower screen resolution. The display also features LED backlit technology. 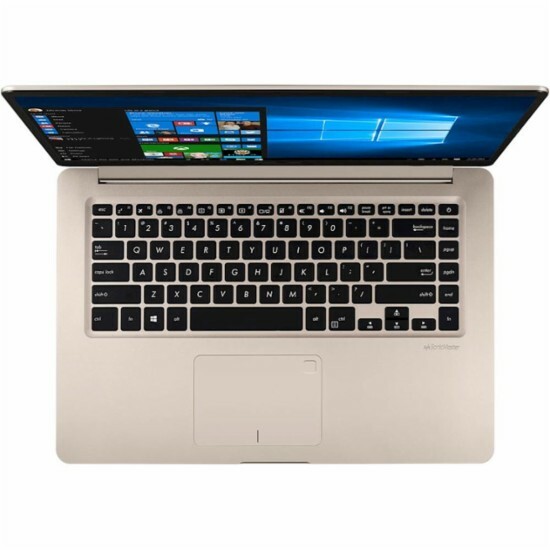 Under the hood, the ASUS VIVOBOOK GOLD S510UADB71 is equipped with specifications such as with 8GB system memory for advanced multitasking; 1TB hard drive and 128GB solid-state drive (SSD) for a blend of storage space and speed; expansive audio, tuned by experts – the ASUS SonicMaster is a combination of hardware, software and audio tuning designed with the goal of giving you outstanding audio experience; built-in card reader for simple photo transfer that supports SD and SDHC memory card formats; built-in webcam with microphone; backlit keyboard for easy typing in dim or dark locations; fingerprint reader for security settings for quick, typo-free access; stays cool even after hours of use using the ASUS IceCool technology uses smart fan control, thin heat pipes and a clever internal layout to create an efficient cooling system; and a 3-cell lithium ion battery to be able to use this laptop whenever you are away from the main source of electricity. It comes in gold metal color for stylish look. Speaking of connectivity, this laptop comes packed with Bluetooth 4.1 interface syncs with compatible devices; one USB Type-C and one USB 3.0 ports maximize the latest high-speed devices; two USB 2.0 ports to connect more accessories and peripherals; Next-Gen Wireless-AC connectivity; Gigabit Ethernet LAN port; and HDMI output expands your viewing options. 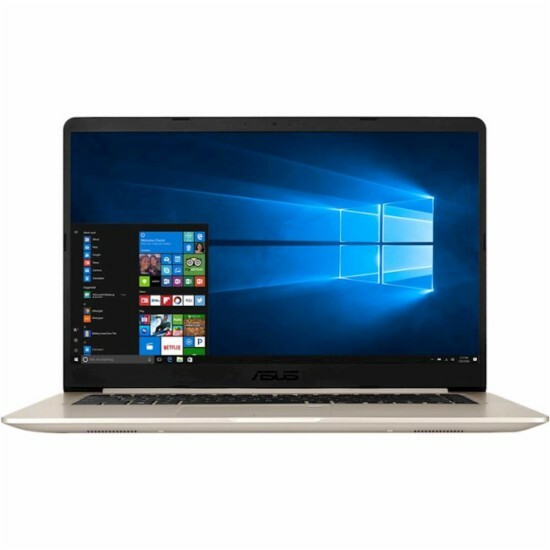 This ASUS VIVOBOOK GOLD S510UADB71is powered by Windows 10 operating system. This laptop has the following dimensions: 14.2 (W) x 0.7 (H) x 9.6 (D) in and weighs about 3.7 pounds. You can get this laptop PC at the price of $799.99. Other laptops in this price range include MSI GP60 LEOPARD-1053; and Dell Venue 11 Pro V7140PRO-4655BLK. 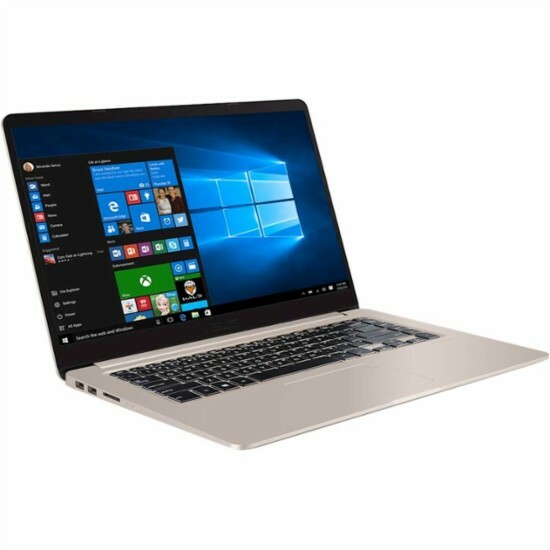 Do you own this laptop computer. Please let us know your experiences with this device.